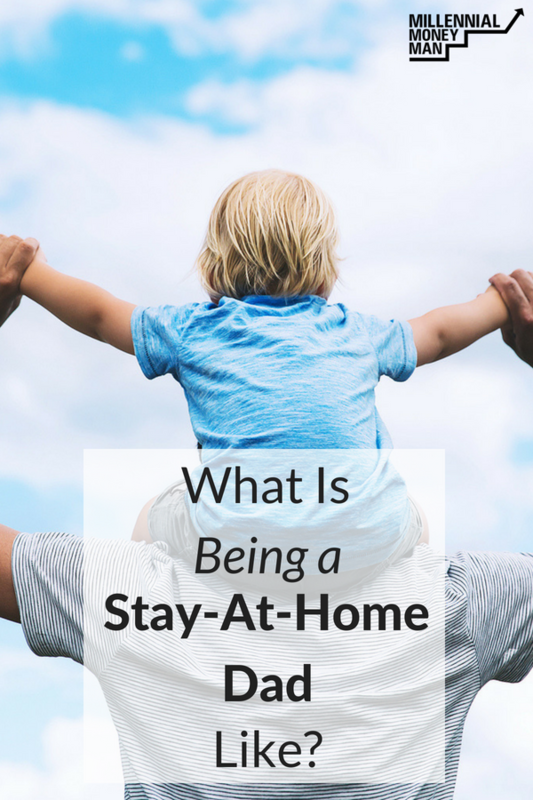 What Is Being A Stay-At-Home Dad Like? So today, I'm doing things a little differently than usual. I've always wanted to experiment with doing video on the site and thought that this interview would be a great opportunity! My wife and I don't have kids yet (which I've written about before), but I don't think that we are too far away from having them. Recently the M$M team has expanded quite a bit, and I've been fortunate enough to be able to work with people that are stay-at-home parents! It's most likely what I'll be doing eventually, so it's cool to get an inside peek at what life is like for them as they work from home and also raise children. A few weeks ago I interviewed my assistant Melissa about her experience of raising her kids while working for me (which is probably really hard haha). Today, I'm getting the male perspective from Mike Yanda, my friend and business partner on the Facebook Side Hustle Course. Growing up, I would have never imagined that I'd be a stay-at-home dad…but the idea of it actually sounds really, really cool. Getting to watch your kids grow up every day sounds like an incredible gift to me. So…I asked him about it haha. He transitioned from being a lawyer to an online entrepreneur a few years ago and now spends his entire day with the kiddos. I learned a lot from this interview – I think you'll really like it! Just FYI – there is wine and beer involved here haha. Enjoy! Does being a stay-at-home parent sound cool or stressful? I absolutely love the prospect of setting myself up to be a stay at home dad. I really wish I had the foresight to do things differently when I was younger so that I could have worked from home when the kids were younger like Mike’s! “It’s amazing that my child has survived…” haha this is the sentiment of all new parents! I’m also a firm believer in the everything happens for a reason motto. Even if we don’t understand or comprehend what is going on at the time, everything that occurs happens for a reason to guide us into what we are supposed to be doing with our lives. Great point – I’m definitely grateful that I’ll be able to see our future kiddos every day too. I see Mike do it every day and it looks awesome!